The park has many monuments, the most iconic of which are our statue of William Cullen Bryant, the park's namesake, and our Josephine Shaw Lowell Fountain, New York City's first statue dedicated to a woman. We have other statues commemorating great lives, and our Benito Juarez statue on the Sixth Avenue side of the park is no exception. Tomorrow, March 21 (also the first day of spring), Benito Juarez turns 209 years old. Benito Juarez keeps a careful eye from his perch on Sixth Avenue. 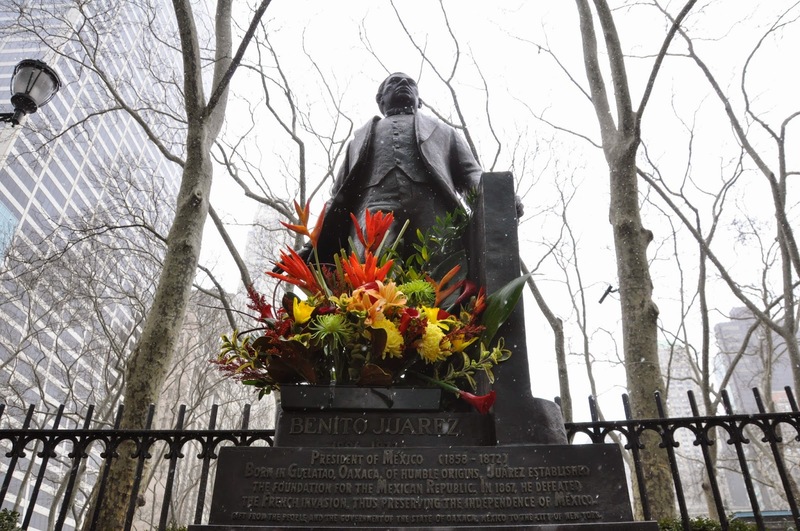 The Benito Juarez statue is the park's newest, installed in 2004. For the past several years, the Mexican Consulate has celebrated his birthday by placing flowers at the base of the statue and posing for a photo. 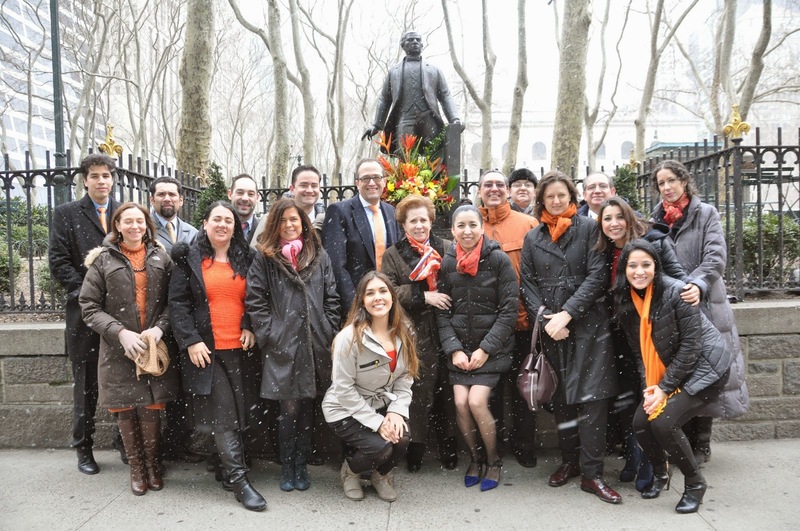 Members of the Mexican Consulate pose with the statue after placing a beautiful bouquet. A gift from the State of Oaxaca to the City of New York, this statue, handcrafted by Moises Cabrera Orozco, is the first Mexican figure to be placed in the city of New York. Juárez is a Mexican national hero and Mexico’s first president of Indian descent. Revered by his countrymen as a great political leader, Juarez proclaimed the “Reforma Laws”, thus establishing the foundation for the Mexican Republic and preserving the independence of México.